The basic plot from Amazon: While flying an Allied fighter plane from Paris to England, American ATA pilot and amateur poet, Rose Justice, is captured by the Nazis and sent to Ravensbruck, the notorious women's concentration camp. Trapped in horrific circumstances, Rose finds hope in the impossible through the loyalty, bravery and friendship of her fellow prisoners. But will that be enough to endure the fate that's in store for her? 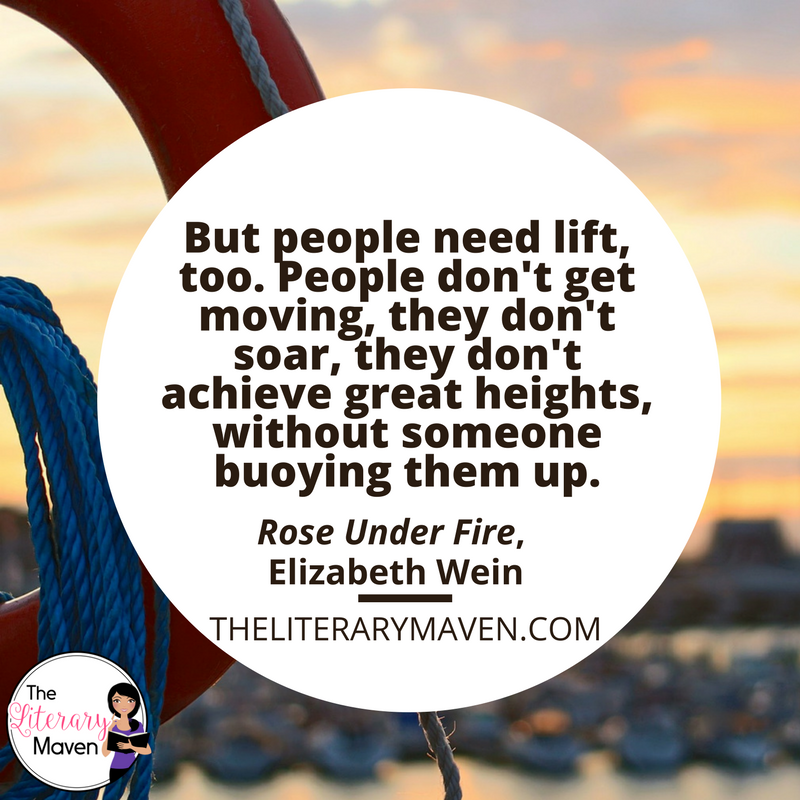 Why I liked it: Rose Under Fire is a follow up to Code Name Verity, which I loved. Like the previous novel, this one is set during WWII and features young women in non-traditional roles. Rose is an American, serving as a pilot with the British Armed Forces thanks to a few strings pulled by her uncle. As a woman, she can only transport planes, not engage in combat, but when she goes astray on a mission, she is forced into enemy territory and eventually taken to a concentration camp. Even there Rose's spirit cannot be broken. She continues to do what she can to fight back, like refusing a comfortable job in a factory when she realizes she is helping to build weapons for the Germans. She forms close bonds with the "Rabbits," a group of women on whom medical experiments were conducted. 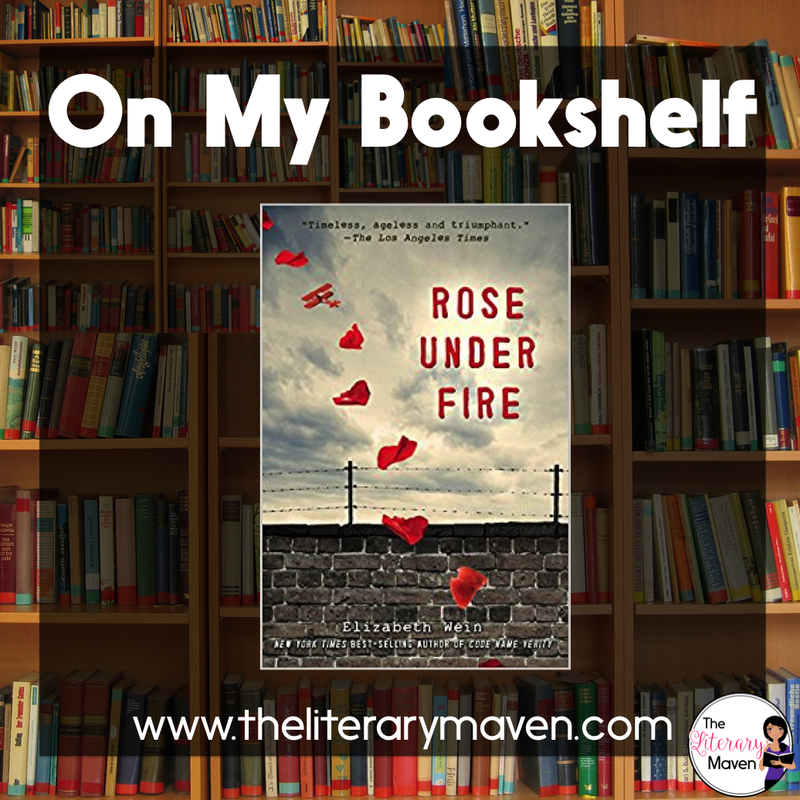 Classroom application: As a slightly obsessive reader of WWII and Holocaust literature, I would highly recommend it as an independent book pick for my students. The novel could also be used in a history class to study aviation, concentration camps or women's roles during WWII. Students could specifically research Nazi's medical experiments and the Nuremberg Trials, which both play a large role in the book. If you are interested in purchasing a copy of Rose Under Fire for yourself, you can find it on Amazon here.